In a large glass bowl, layer cabbage, cauliflower, four slices of bacon, peas, mushrooms and onions. 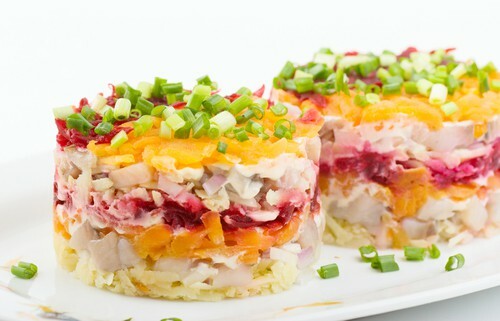 Top with cheese, remaining bacon and dressing. Cover and refrigerate overnight. Top with tomatoes before serving. Garnish with crumbled bacon if desired.